It’s closing in on midnight on a Saturday in San Francisco. The Mezzanine night club is packed. Some are dancing to the smooth house music of the resident DJ while others eagerly huddle up to the front of the stage. “It’s a late [show] so take a nap before u come out to see me,” Yuna graciously noted to her followers online that same morning. With more than one-thousand guests in attendance that night, there was nothing but love felt for the Malaysian singer-songwriter. 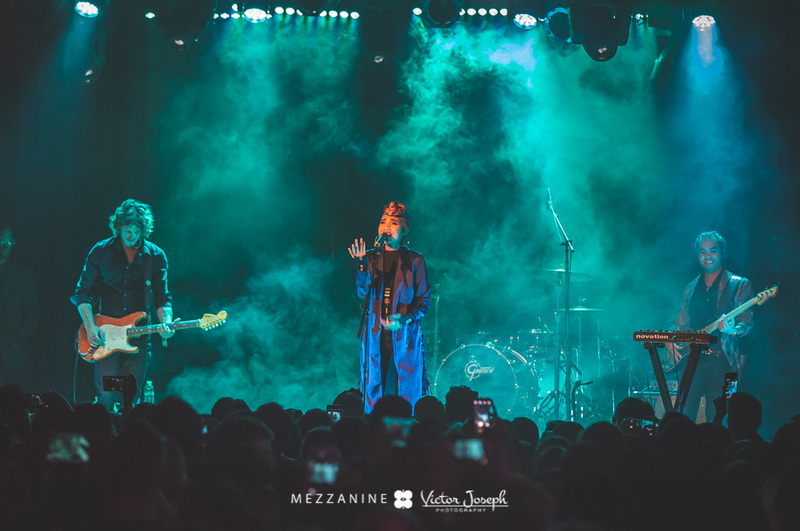 With the release of her new album Chapters, Yuna has taken a departure from her primarily indie folk sound and has found footing in the world of contemporary R&B. And it seems to be doing her well. Opening with “Places To Go” followed by “Best Love,” Yuna’s smooth-as-honey vocals stole the room. She’s one of those performers who can make her already-amazing tracks sound even more raw and real live. The power of her backing band, complete with a tight drum set, smooth bass and glittering guitar section only aided in highlighting her cool, sultry voice. “San Francisco,” she called out with all smiles. We cheered and smiled back. A soft keyboard chimed in as a drum kit rattled in response. The crowd cheered and Yuna couldn’t help but flash a smile. Her performance of “Crush” was incredibly smooth, soulful and seductive. The crowd mouthed back every word into Yuna’s open loving embrace. 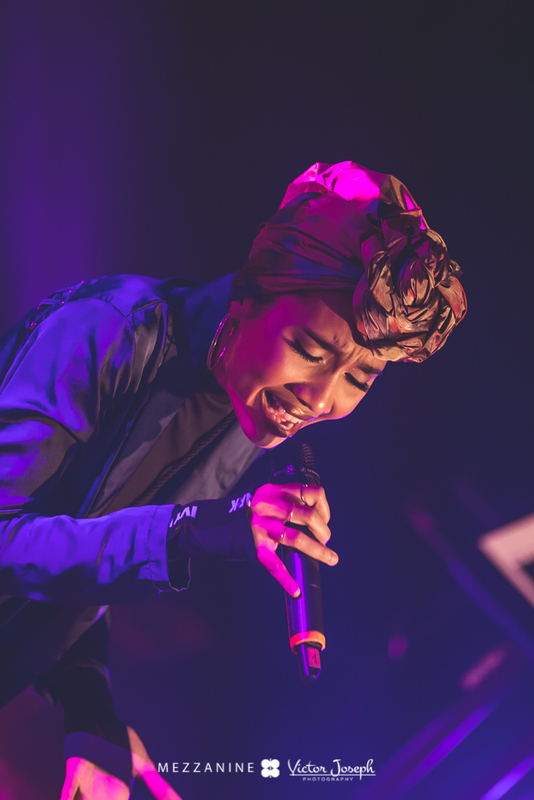 Yuna’s ability to transform the vibe of an entire room isn’t to be taken lightly. Her feel-good sentiments, smooth tunes and honest songwriting make her an artist you are naturally drawn to — you can’t help but want to be surrounded by the vibes she emits just from her mere presence in a room. Yuna played a majority of her Chapters album throughout the night but made sure to play old favorites such as “Lights And Camera” and the crowd-pleasing “Lullabies,” as well. Riding on her third album, Yuna seems to be at a good point in her life and career. Her new record bares her soul with unabashed vulnerability as her songs are full of real-life love, relationships and heartbreak; her music shows an immense sense of personal and creative growth as well. Her sound is full of richly textured R&B combined with folk-pop elements, and she isn’t afraid to let her music say something a little deeper than what many of her peers are doing. In the live performance, Yuna can grasp the soul of a song and let you, the listener, feel its true intent. She told me in a previous interview that she felt the “right to feel good about yourself should be universal.” As she performed with a sense of ease and grace, constantly smiling and letting the crowd feel just as good as she does, it was comforting to know that that was exactly what she was doing with her music. She felt good, but she wanted to make others feel good, too. Things only seem to be looking up for Yuna. With an impressive and mature record that matches the growth of herself as an artist and individual, the world is beginning to know who Yuna is. She seems to be finding her stride in contemporary music while still holding her own, and there couldn’t be a better time to join in. Trust, you won’t be disappointed. Purchase Yuna’s latest album “Chapters ” through Verve Music Group by clicking on the link provided. Check out her single “Crush” feat. Usher below.